yes, it has been windy here too…but today it is warm and sunny- the summer returns!!! you look fabulous in those white jeans!!!! such a lovely combo! Oh you lucky one! 🙂 Thanks so much! SO charming) I'm very into stripped clothes! Look maravilhoso amei, obrigado pela visita, tenha uma semana abençoada. 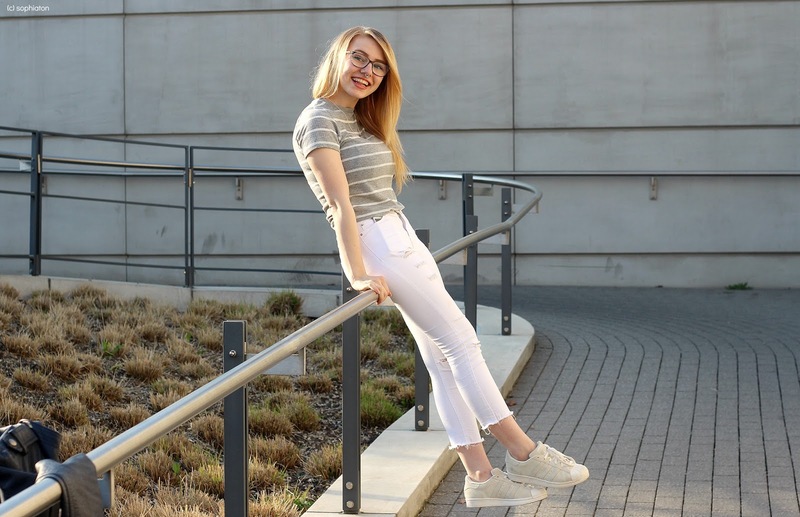 So eine weiße ripped Jeans ist das perfekte Sommer Essential! Du siehst außerdem super sympathisch aus. thank you for your visit sweetie! This look is fabulous, comfort and stylish all in one! Your pictures also came out lovely, great outfit!